For more than a decade the Red Feather Development Group, a volunteer-based organization, has built and repaired straw bale houses for Native Americans. Somewhere along the wayand this was certainly not the planthey created an architectural phenomenon: This inexpensive, environmentally sound, easily constructed, and downright beautiful form of building has, for good reason, caught the public's imagination. Here, Red Feather provides a step-by-step, easy-to-follow manual for would-be strawbale buildersindeed, they supply everything you'll need but time, energy, and lots and lots of straw. 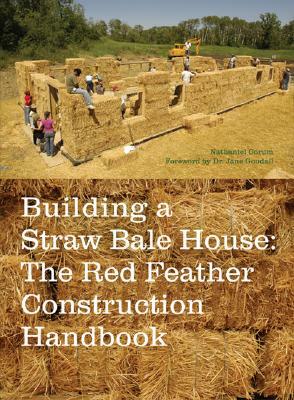 Informative sections on safety, design, tools, and materials, and case studies picked from over thirty-five Red Feather projects give a comprehensive overview to straw-bale building. But this book is much more than a construction manual. It is also the inspiring story of Red Feather itself, a tale of community action and cooperation that suggests a can-do solution to the growing housing crisis on America's Native American reservations.